Phone specialist Phones4U has included details a nice new Samsung Galaxy Note deal in its latest mail out, which lets would-be owners of Samsung’s massive mobile get it for “free” in return for taking out a 24-month contract at £20.50 per month. 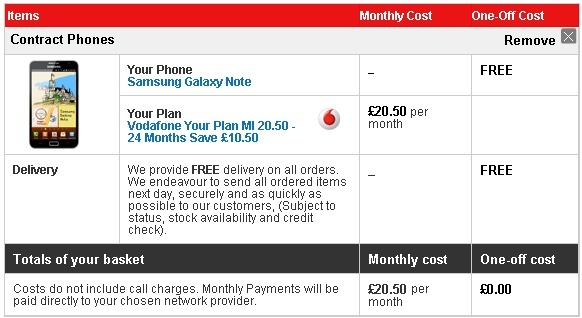 The contract’s pretty usable too, for a cheap one, coming with 300 calling minutes, 3,000 text messages and a restrictive but at least it’s there 250MB of mobile data. If you do all your smart actions through wi-fi, that’s a decent enough bundle. If you’re interested, get your big hands over to Phones4U.